Montana Test.com - Results for: MaxxDryXL™ for Gloves, Boots, and Waders! MaxxDryXL™ for Gloves, Boots, and Waders! MaxxDryXL™ “Forced Air” technology gently dries 4 garments–Dries in About 1 Hour! ™ Return for lunch…dry and warm boots and gloves together! Go back cozy and dry! MaxxDryXL™ works quickly to remove moisture, perspiration, and bacteria and mold - the primary cause of odor! 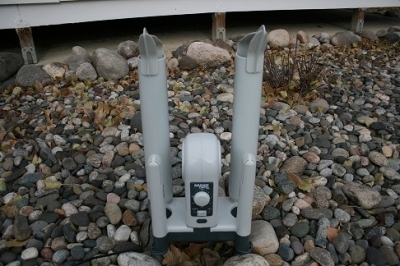 A totally flexible multi-dryer includes everything to dry a combination of tall boots and short boots, boots and gloves, two pair of gloves or children’s shoes and mittens and requires no additional attachments. No waiting all night, no stiffness, no shrinkage and no damage whatsoever. Using either heat or no heat the MaxxDryXL™ will not harm breathable Hypalon®, or other linings, Neoprene, Polyester Microfiber materials, woven nylon, expensive leather, canvas, vinyl, rubber, plastics or other man-made materials and MaxxDryXL™ does not release potentially damaging ozone or market hyped ionization into the air. We dry purely…with gently warmed “Forced Air”. 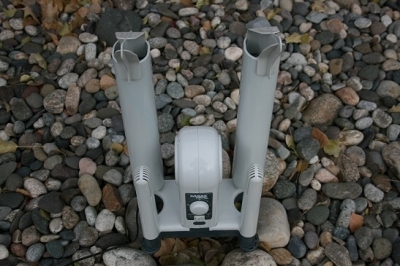 Feature-for-feature the MaxxDryXL™ is the finest boot, shoe and glove dryer/warmer available.